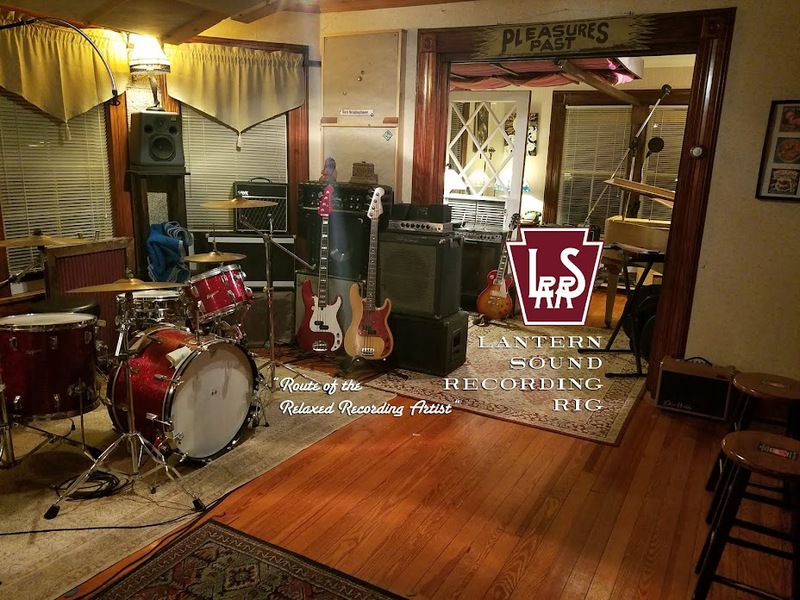 The Lantern Sound Recording Rig | "Route of The Relaxed Recording Artist": The Ampex 602 Mic Preamplifiers & "The Basement Tapes" at "Big Pink"
The Ampex 602 Mic Preamplifiers & "The Basement Tapes" at "Big Pink"
just before overdubbing a mic'd guitar amplifier. 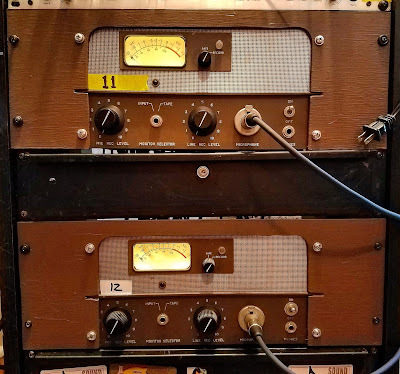 Our modified Ampex 602 tube mic preamplifiers have been here at the Lantern Sound Recording Rig for several years now; since these mic pre's are based around the 12AX7 vacuum tube, we love to use them for mic'd / DI'd electric guitar and bass.. Ours are loaded with original "new old stock" RCA 12AX7 tubes. Sometimes we'll even use them on a vocal, especially if it's through an old ribbon mic. (above): Chuck Ware getting tone through the 602's. 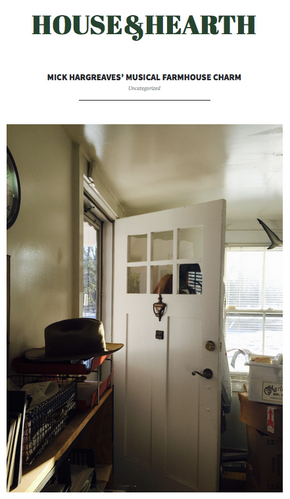 His Fender guitar amplifier is a floor below, down in the basement chamber. The Ampex model 602-2, right. The 600 series Ampex tape recorders were portable pro-quality audio recording machines mounted in a Samsonite suitcase. Introduced May 1954, they were old to professional users such as large radio and TV stations for portable recording of news and entertainment. The top half had the tape reel mechanism, the bottom half the mic preamplifier and output sections. 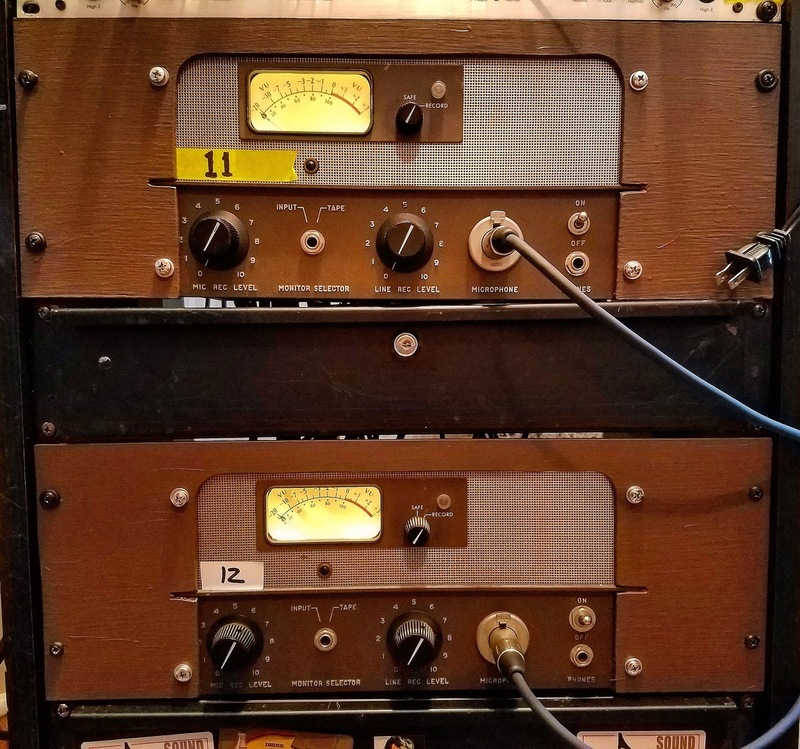 The Ampex 602 Mic Pre's in the racks at Lantern Sound Recording Rig. 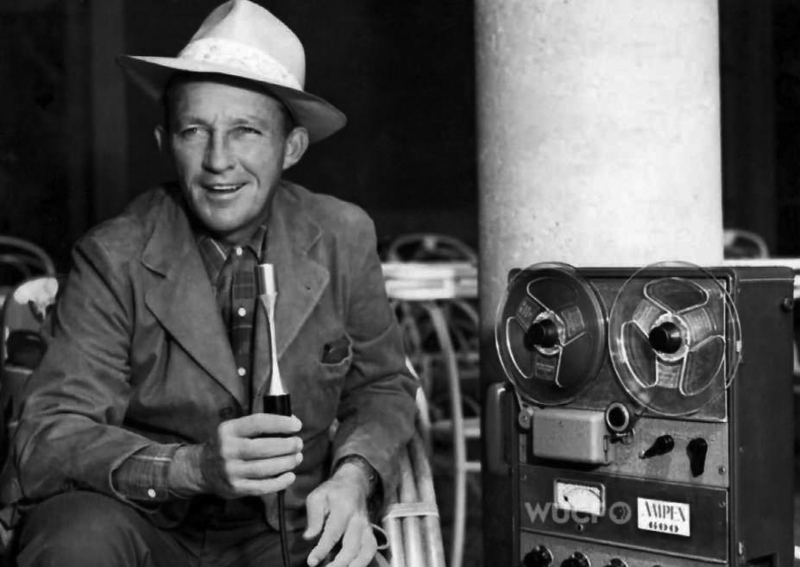 Bing Crosby, at various times, tested for, developed products with, funded, and represented Ampex Tape Corporation; his friend Bob Hope endorsed Ampex, and Les Paul, a friend of Crosby and a regular guest on his radio shows, received an early portable Ampex Model 200A from Crosby. Alan Lomax with a 601-2 unit. Alan Lomax made field recordings of 20th century folk music of with Ampex 600 series recorders. That's a lot of historical music going through those 12AX7 vacuum tubes. The extensive Alan Lomax Online Archive features many of these recordings, and comprises over 17,400 digital audio files, beginning with Lomax’s first recordings onto (newly invented) tape in 1946 and tracing his career into the 1990s. 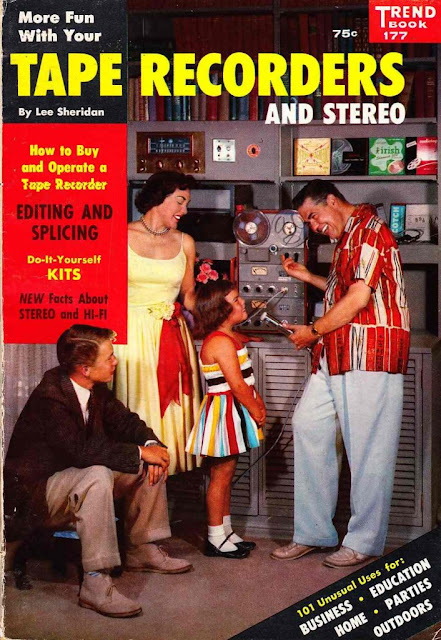 An Ampex 601-2 made house parties fun! One thing everyone agrees on: The Basement Tapes were not recorded on the machine in this photo. Did Garth Hudson record "The Basement Tapes" on an Ampex 602-2? 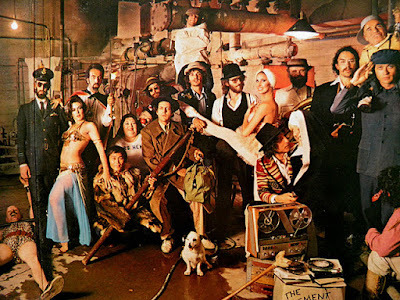 I kept coming across accounts that had the two-track 602-2 recorder being the reel to reel tape recorder model that was used in Woodstock, NY by Bob Dylan and the Band to record the some of the sessions for the infamous "Basement Tapes", in and around "Big Pink", the house two members of The Band rented. But accounts differ wildly. Some say the 602-2 was not the model used. Garth Hudson's original tape machine gear from Big Pink got lost in a fire, apparently, and Hudson isn't on record as indicating what model was used. 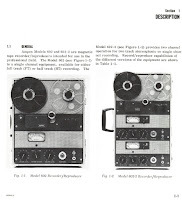 "Using a 2-channel portable Ampex 602 tape recorder, tracks were recorded at either 3-3/4 or 7-1/2 ips (15 ips not being available) - which would have allowed 20-40 minutes of recording time per tape depending on speed utilized"
Other chat room discussions disagree with this account, and cite other tape machines. - Sid Griffin writes in his book Million Dollar Bash that record producer Joel Bernstein asserted it was "probably an Ampex 602" but that filmaker Sam Jones in 2014 concluded it was an Ampex 2100. He also includes a quote from Rob Fraboni that "they were done on an old Ampex, a beige colored machine". (The 602's were beige; the 2100's were grey). 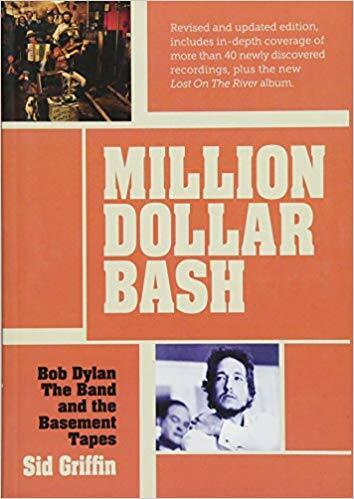 - Bob Dylan All the Songs: The Story Behind Every Track (by Philippe Margotin and Jean-Michel Guesdon) states that Garth Hudson "probably used a portable Ampex 602 tape recorder". 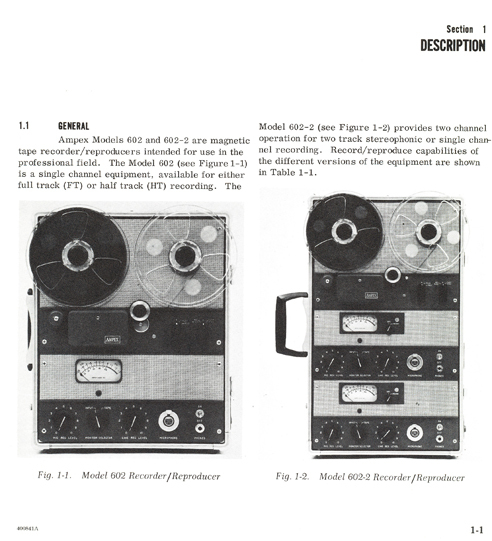 - Tape Op Magazine states that things were "all tracked live into a 2-track portable ("suitcase") Ampex 602 quarter-track". "Garth Hudson, The Band's organist and technician, turns on the tape recorder, a simple stereo Ampex that pianist Richard Manuel had picked up somewhere for $140. Garth twists and turns the dials to get the right levels. Meanwhile, the Bauls warm up in steps of talent. 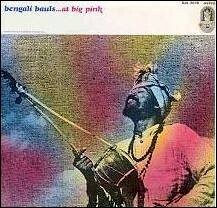 While the recording gets better, so do the Bauls." So, depending upon who you ask, the Ampex 602-2 tape recorder either was, or was not used to make portions of the infamous "Basement Tapes" by Bob Dylan and The Band... but a majority of those in the know say it was. It certainly existed then, and lots of people had them. In the end, it really doesn't matter, because we love what we use them for here; most often electric guitars and basses, and sometimes even a vocal. There's an inherent compression quality these things have that makes them extra juicy. In and out of those realms, we sometimes put the Radial "Stage Bug" +48V phantom power supply in line when we want to put condenser mics through the 602's. They also go great with ribbon mics. 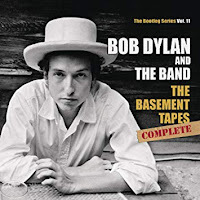 In 2014, The Basement Tapes were officially re-released, re-mastered, as The Basement Tapes Complete, a lavish six-CD set issued by Sony’s Legacy. Garth Hudson recently revisted the house known as "Big Pink". No mention of what tape machines he used. "You know, that's really the way to do a recording — in a peaceful, relaxed setting in somebody's basement, with the widows open and a dog lying on the floor."